Comodo is one of the popular security service providers which provides software like antivirus, internet security suite, firewall etc. 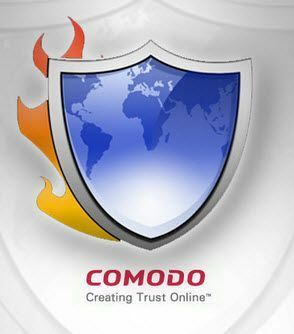 There are a few features in Comodo products that are unique to Comodo only, my favorite being Comodo Dragon. Comodo Dragon is a Chromium based browser which solves the privacy issue which Google Chrome poses. Let’s go through what’s new in Comodo 8.1 and then head towards the direct download links to its full installers. This is the new browser that Comodo is working on. Currently Comodo Dragon is the flagship browser which concentrates on privacy and security as compared to Google Chrome. We use Comodo Dragon as our primary browser on all our work systems. You may go through the release notes of new versions of Comodo here. This is NOT a “full install” of Comodo — it’s just the installer program. Any program that REQUIRES an internet connection to install is already a security risk. Hi Dr. H, can you explain how an installer which requires and Internet connection can be a security risk? Nowadays almost all major vendors are using web installers as their primary source of installation? If you don’t understand the security risk of installing security software in a way that is exposed such to the internet, and thus man-in-the-middle attacks among others, then your computing ethic where digital security is concerned is lacking and you desperately need education. Keeping an unsecured system offline until it has been PROPERLY secured is the best and safest methodology. Dear friend, it’s a good idea to install offline security software but the words of the site administrator can not be considered a reason for their low literacy! Incidentally, it may be said that security corporations have their own reason to not own an offline version of their software. Perhaps one of them is the lack of installing fake software or very old and insecure versions! Yeah right or just must tag new user for success spying him. Comodo start it many years ago. Online installer is just another way to do it. @lexluthermiester you have right man. Greetings.